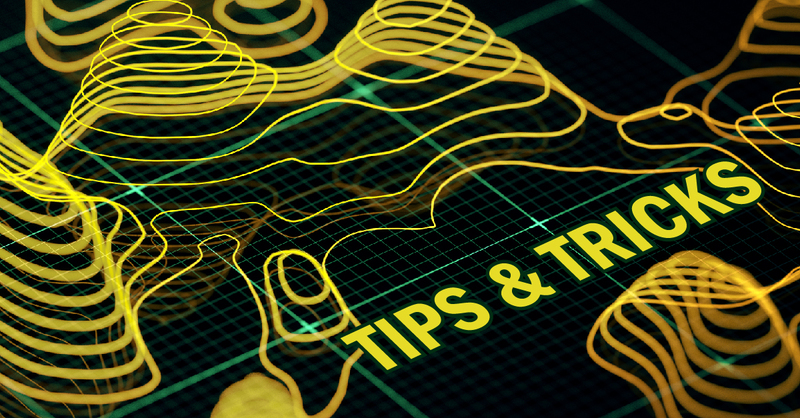 This is part of a series of ‘tips and tricks’ blog posts for GIS professionals. Topics to be covered include ArcGIS Online, ArcGIS Desktop, ArcMap, as well as static maps. Maps are important tools that tell a story or illustrate an idea. Therefore, creating a map that effectively displays the intention is important. However, creating an efficient map can be challenging. Below are some ideas and guidelines for creating static maps for a project. Best practices. Contact your agency’s GIS department to inquire about agency map templates, official logos, shared data, and other best practices. Consider the audience of your map. Include streets, labels, and other reference information in cases where the audience is unfamiliar with the area being mapped. Consider the purpose of your map. In most cases, a statewide map does not need to include detailed road information; consider only including highways and/or US Routes on your map. Consider which layers (or layer subsets) may be detracting or distracting from the purpose of the map. Consider the end product. If the map is destined to be printed in large format, it is most efficient to set the page size at the outset of map creation. Adjust the map orientation. Based on the area being mapped, some maps are best suited to portrait orientation, while other are best suited to landscape orientation. Use a title and other explanatory text. Include text that will help your audience understand the content of the map, such as a brief explanation, disclaimer, reference to data source, or agency URL. White space. Reduce white space where possible, but do not add unnecessary or distracting elements. Scale bar usage. When using a scale bar, in most cases a graphical scale bar is best because it preserves scale measurement if the map is duplicated or resized. A scale expressed by ratio (1:100) or in text (1 in = 100 ft) can be problematic if the map is resized. Incorporate a North arrow. When looking at a map, it is generally assumed that North is up; if this is not the case, a north arrow should be used. Use of a north arrow is not required for maps where the orientation is obvious (e.g., a map of an entire state or the U.S.). Labels. When labeling, or setting feature sizes or line thicknesses, create a visual hierarchy using color and size. The most important item(s) should be the largest and most prominent, while background information (basemap) can be smaller or less prominent. Employ color contrast. When using color ramps, ensure that the various shades are easily discernable. For example, a color ramp based on a single hue should typically not contain more than five variations of that hue. For color scheme ideas, and assistance identifying color schemes that are colorblind safe, use ColorBrewer. Using inset maps. Use an inset map (in a new data frame) to either (1) add context to a map of a local area, or (2) provide a more detailed view of a specific area in a map of the entire state or other region. When it comes time to print. For printing, export your map to a PDF or other image format first. Then, print the PDF. Alex Mikulski is a GIS specialist at the Center for GIS. She performs research and spatial data analysis and processing as well as map development. 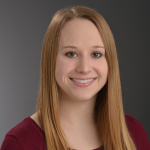 Additionally, she develops training materials and facilitates teaching ArcGIS Desktop and ArcGIS Online for Maryland state employees through the Statewide GIS Training Program.